On December 20, 2018 at 7:00 pm in the Chamber Hall of the National Forum of Music in Wrocław, Aleksandra Szwejkowska-Belica (violin) and Cezary Sanecki (piano) will perform a concert entitled Szmanowski's Heritage. Szymanowski's thought is reflected in the work of his successors, whose music will fill the programme of the December concert. We will hear: Stained-Glass Window, Mazovian Dance and Slavic Dance by Grażyna Bacewicz, Polish Suite by Szymon Laks, who emigrated to Paris in 1926, but repeatedly referred to Polish folklore, Polish Dance from the ballet The Song of the Earth by Roman Palester, who also emigrated to France, Three miniatures by Juliusz Łuciuk, and Pleiades and Oberek by Romuald Twardowski. 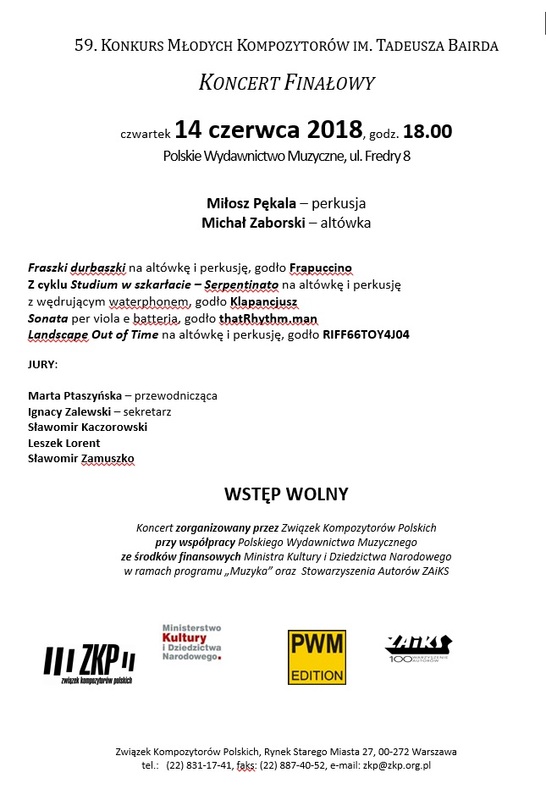 The concert on October 14, 2018 at 6 pm, in the headquarters of the Polish National Radio Symphony Orchestra in Katowice, will premiere a new composition by Artur Zagajewski. Święty Boże, Święty Mocny, which Artur Zagajewski dedicated to his wife, was written to the well-known lyrics of Jan Kasprowicz's hymn. 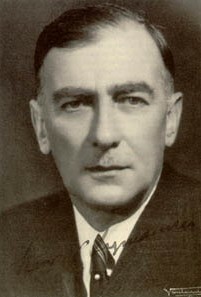 The composition was created for the excellent actor, vocalist and director Arkadiusz Jakubik, known, among others, from Wojciech Smarzowski's films. The work is inspired by the music of trashmetal bands, including albums of the Slayer group. 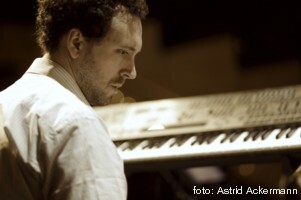 Zagajewski's work was co-financed by the Ministry of Culture and National Heritage as part of the "Composing Commissions" programme, operated by the Institute of Music and Dance. Performed by the Orchestra of New Music under the direction of Szymon Bywalc, we will also hear Belgian and American music. Fremdkörper # 3 by the Belgian composer Stefan Prins was created after the death of Michael Jackson and is a kind of "memoriam" for the King of Pop. The composition ... blood blossoms ... (... blood blossoms ...) by the American composer Ken Ueno was influenced by S. Burroughs' Naked Lunch, which suggested to Ueno that "beauty can be found in a medium full of potential power and destruction." The final concert of the 59th Tadeusz Baird Young Composers' Competition was held on June 14, 2018 at 6.00 pm at the Warsaw headquarters of the Polish Music Publishing House. • The distinction goes to Sonata per viola e batteria.  After opening the envelopes, it turned out that the authors of the awarded works are: Kamil Kruk – Serpentinato and Filip Sporniak – Sonata. The awards ceremony will take place in September during this year's "Warsaw Autumn" festival. The premiere of Jakub Sarvas' Orare-Torium will take place at the Collegiate Basilica of the Birth of the Blessed Virgin Mary in Wiślica on July 5, 2018, as part of the 24th Krystyna Jamroz International Music Festival in Busko-Zdrój. The next day, the work will be performed at the Kielce Philharmonic. The inspiration for he work – as the composer notes – was the original meaning of the word oratory, as well as the echoes of events from the tenth century on the land of the Slavs. The work intended for choir, soloists, live electronics and orchestra refers to the primary aspirations of human spirituality and religiosity. The programme of the concert on July 6 at the Kielce Philharmonic will also include works by W. A. Mozart: Motet Exsultate jubilate KV 165, Ave verum corpus K. 618, and Sancta Maria, mater Dei KV 273. Symphony Orchestra of the Świętokrzyska Philharmonic and Fermata Chamber Choir will be led by Jacek Rogala. Gabriela Gołaczewska will perform as soloist. The premiere of the work by Jakub Serwas is co-financed by the Ministry of Culture and National Heritage as part of the "Composition Commissions" programme implemented by the Institute of Music and Dance. 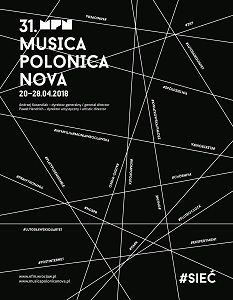 The 31st edition of Musica Polonica Nova Festival will take place on 20-18 April 2018 at the National Forum of Music and will reflect on how the Internet affects arts and social behaviours. 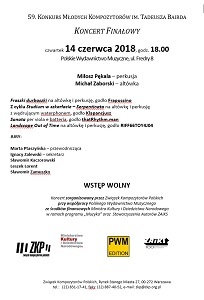 The event is coorganized by Polish Composer's Union. The #network motto denotes not only the Internet, but also the network structure of the programme, in which individual threads can intertwine during various events. The festival is addressed above all to young listeners (in their 20s, 30s and 40s) for whom the network has become a natural space of living. The music presented during MPN is not encapsulated in the connoisseur bubble, but interacts with the surrounding reality. The post-Internet trend will be strongly present during the festival, commenting upon the network’s influence on our daily lives. The Spółdzielnia Muzyczna (Music Cooperative) project breaks a taboo, bringing up the issue of the role of money in arts. The #online concert will open the festival to audiences all over the world through live streaming, whereas #offline will provide a retreat from the hustle and bustle of the big city. Given the Internet creations based on all sorts of re-mixing, mash-ups and covers, the festival will clash and transform a symphony orchestra with an improvising musician, classic opera with multimedia, traditional music with experimental music, thus redefining whatever a concert experience means.